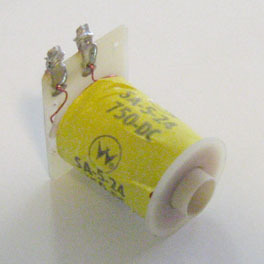 Used on several Williams electronic solid-state (SS) games mid-1980s. Includes long sleeve (03-7066-5) and diode on bottom (back) side of solder lugs. Coil wrapper color/style may vary.